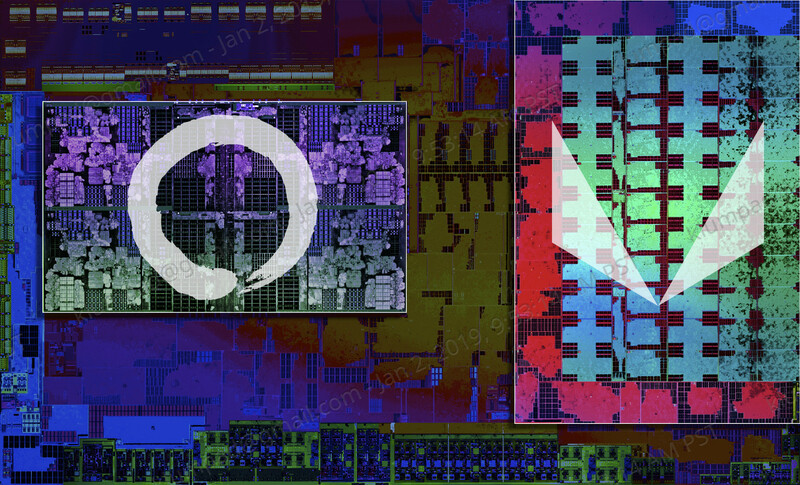 The new 3000 series of Ryzen APUs (codename Picasso) is now manufactured in an slightly improved process (called 12nm) and uses the slightly reworked Zen+ microarchitecture for the CPU cores. 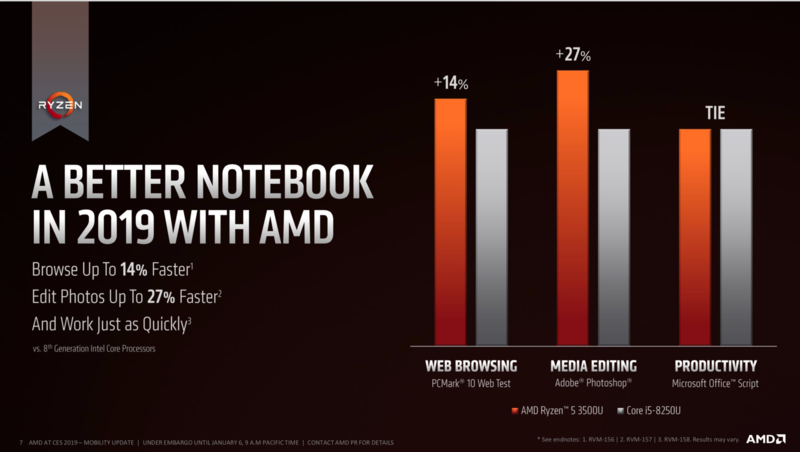 Therefore, AMD states an 8% increased performance compared to the first generation. The Zen+ microarchitecture is a slight improvement over the first Zen cores where mainly the latencies of caches and memories were improved. Furthermore, the new 12nm process allows higher clock speeds and a lower power consumption. 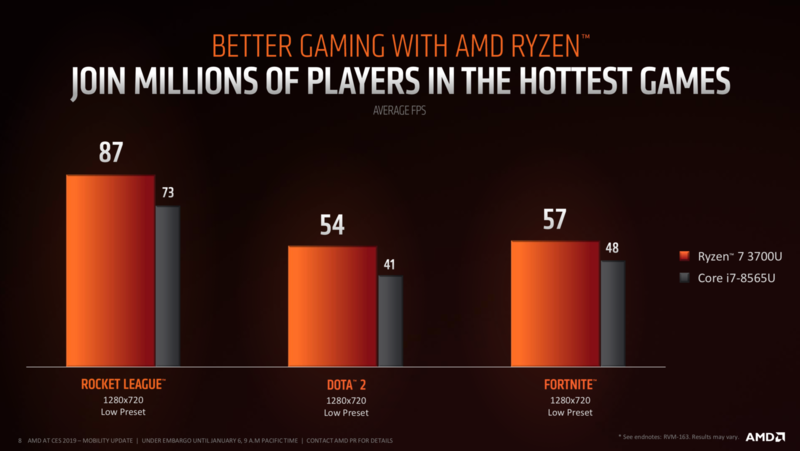 That leads to the cited 8% performance increase compared to the 2000 series of Ryzen mobile APUs. 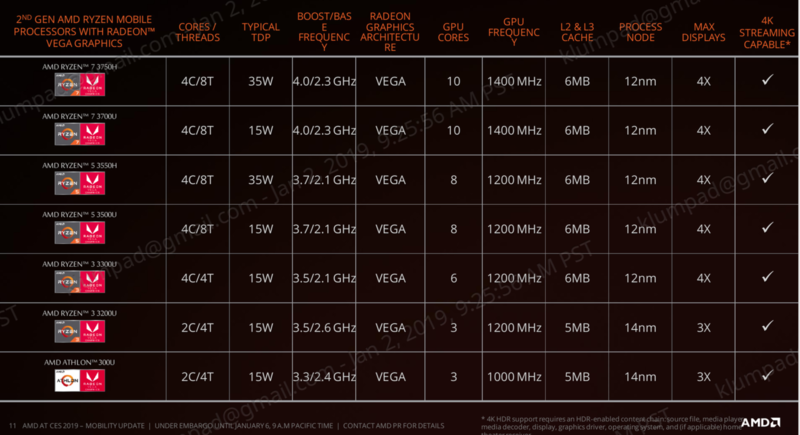 The Vega graphics card was left untouched, but is now clocked slightly higher in the announced models (e.g. +100 MHz Boost). Therefore, AMD should increase the distance to the rather mediocre UHD Graphics 620 in Intel SoCs (e.g. Whiskey Lake). 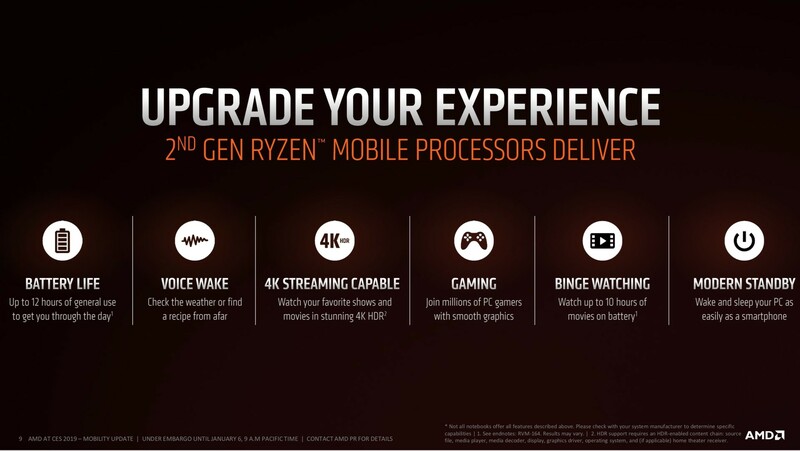 AMD now also launched 35 Watt variants of the top Ryzen 7 and Ryzen 5 APUs that can be used in entry level gaming laptops. They are no match for the fast 6-core Intel processors, but should improve on consistent performance compared to the similar specified 15 Watt variants. Furthermore, we now see an Athlon in the line up of Ryzen CPUs. It is the entry level Picasso APU and offers reduced clock speeds compared to the Ryzen 3 3200U. 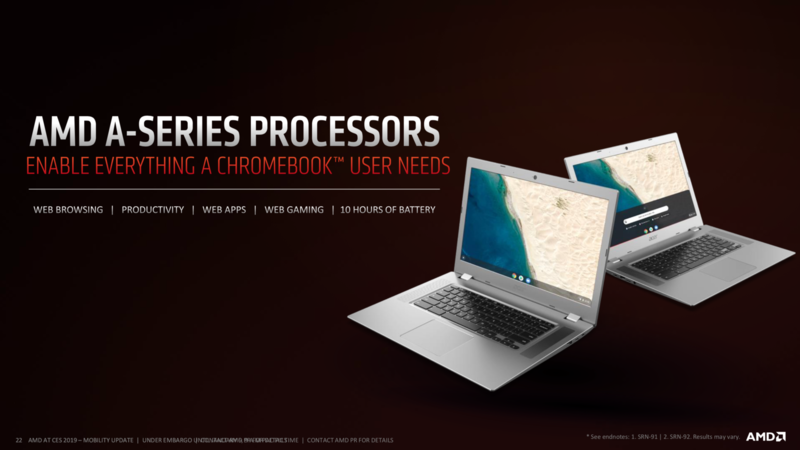 With this APU, AMD wants to cover the whole range from entry to gaming laptops with the new 3000 series. 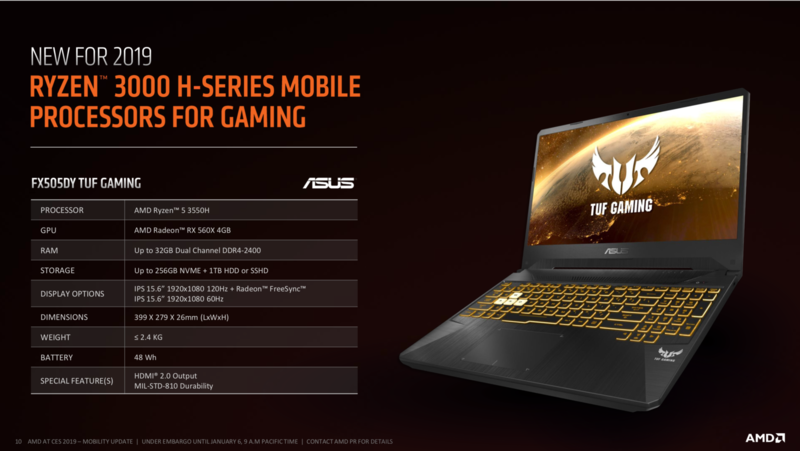 The first laptop with a Picasso APU should be the Asus FX505DY TUF Gaming laptop that was found in the slides. It uses a Ryzen 5 3550H processor and a dedicated Radeon RX 560X.